Amazon Business is currently running a prize draw giving away three £500 gift cards, and today is the last day to enter. The only snag is that you need to have an Amazon Business account to take part in the prize draw. However, if you have any sort of self-employed earnings – freelancing, selling on eBay or having a buy-to-let property should count – you can sign up and also enjoy the other benefits it offers. 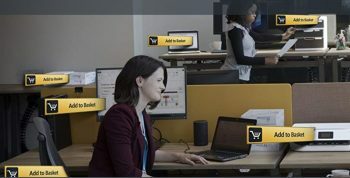 Amazon Business is Amazon’s new selling platform for businesses of any size. In plain English, this means that you can pay on receipt of an invoice, if you wish, and get access to downloadable VAT invoices for your purchases. If you have staff, you can give access to different people – controlling what and how much each person can spend – with all purchasing data consolidated in one place for easy reporting. Amazon Business accounts are free to set up. One day delivery on your purchases is free on orders of £30+, and for any order value for Prime members. Who can create an Amazon Business account? Anyone owning a business can create an Amazon Business account here for free. Amazon.co.uk may use the business name, address, VAT number or business identification number and any other information a customer provides about their organisation or users or that we may request or determine is necessary to verify accuracy and eligibility for Amazon Business. We may make, directly or through third parties, inquiries to validate information provided to us. We may accept or refuse use of Amazon Business at our discretion. How do I win a £500 gift card? The competition page is here. You must have an Amazon Business account and use the same email address when entering the prize draw. Alternatively you can sign up for an account after submitting your answer. There is a question you need to answer correctly – the answer is “the entire Amazon selection”. Today (31st August) is the last day to enter so make sure you take a look if you’re interested. Irrespective of this, Amazon Business seems worth a look if you have self-employed earnings. Link doesn’t go to a competition page for me.